All these words flew through my mind when I read the news that Mute will release a box set with new interpretations of John Cage's infamous 4:33. 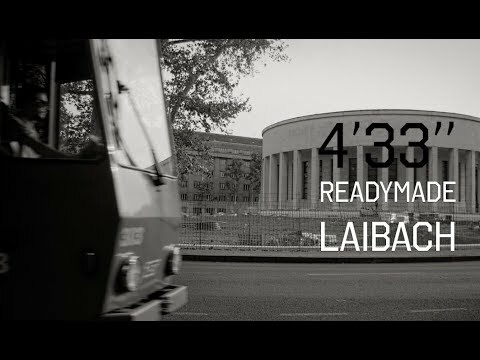 Laibach are the first to release their accompanying video, artists such as Einstürzende Neubauten, Depeche Mode, Erasure and many more are also taking part. This endeavour also marks the second ever release from label boss Daniel Miller's seminal The Normal. Their single "T.V.O.D." b/w "Warm Leatherette". The irony is that the B-side became much more influencial than the A-side. That song has hit me hard when I first heard it and never left me. I believe that no other band has caused such a long lasting impact by releasing just one single. Ever. Until soon, when they will release their version of 4:33. As a taster you can watch this Laibach video, created during one of their infamous four person check performances. I was never hit by The Normal though I bought the single. Sunflight from Miller's second (other?) band Silicon Teens was the song that hit me hard at the time. I crashed into synth pop summer of -88 when we traveled to London and spent a night to find Mutes office based on a address from a record cover :) Boring building, didn't even say Mute - it was labeled MARCUS records.